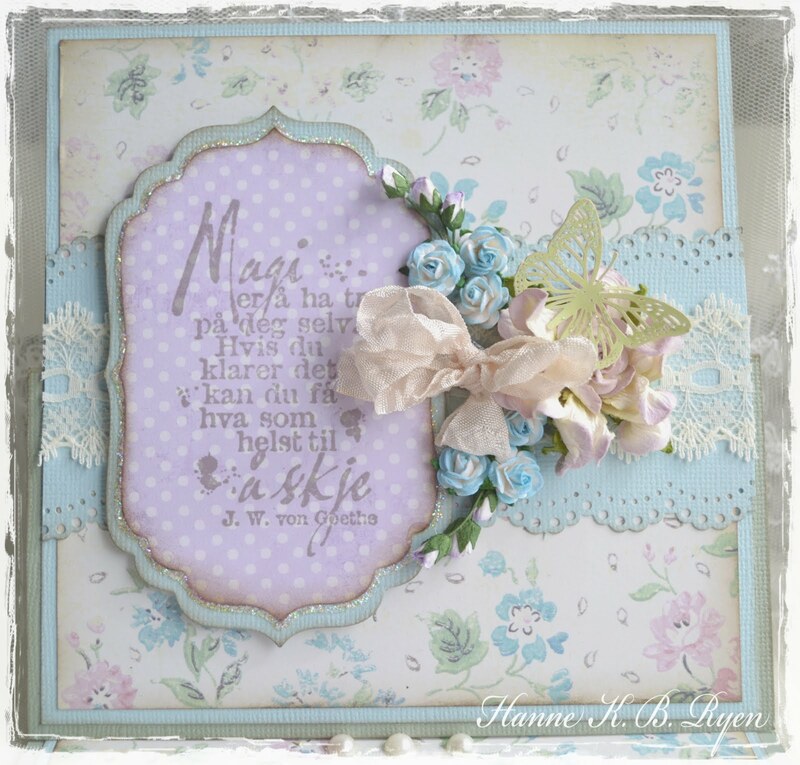 The shabby tearoom have a "Doilies and lace"-challenge this time, and a photo for inspiration. 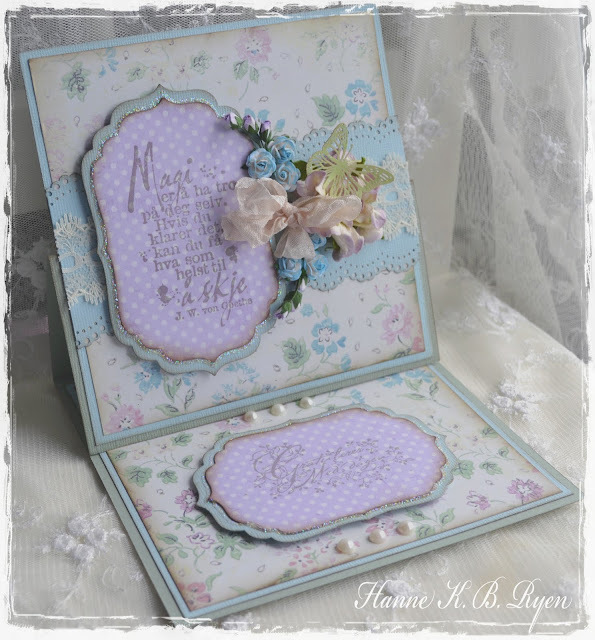 I just had to make a card with these wonderful spring-ish colours - and of course doilies and laces. Et nydelig easel-kort Hanne!! Lekre farger, pynt og koselig tekst stempel! Så sart og lekkert det var!